In theory, I make crostini with left-over baguettes that would otherwise be thrown out and serve them to guests with expensive wine and cheeses. But the truth is, crostini in our house rarely makes it off the cooling rack. Teenagers, especially 16-year-old boys, think it’s fast food and I often find myself making crostini with fresh whole grain baguettes because it’s a surefire way to get fibre into my son’s diet, which otherwise consists mostly of fructose as far as I can tell. 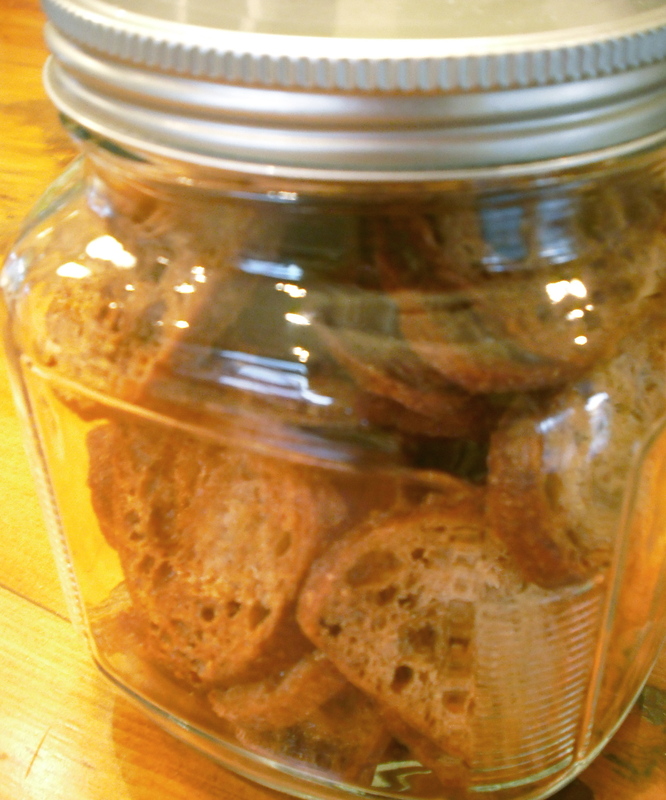 Crostini really are better made with stale bread, which is easier to slice very thinly. 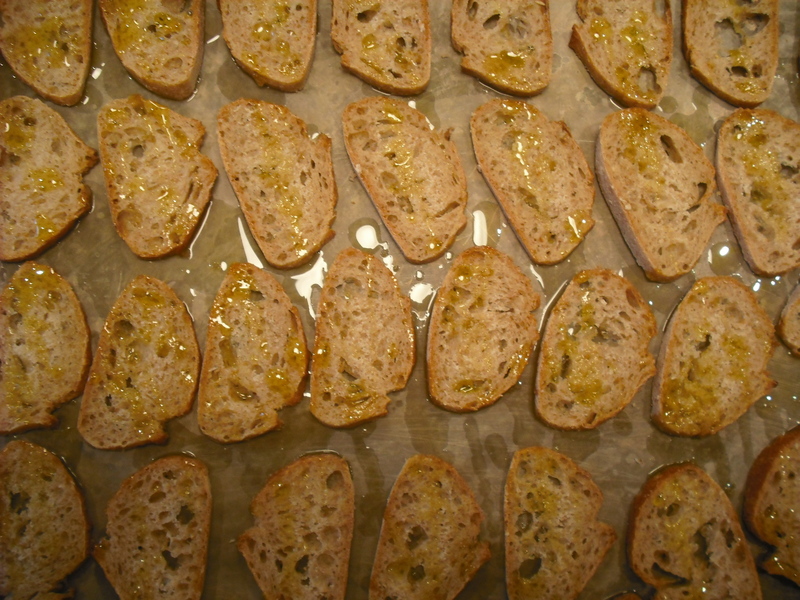 Drizzle the bread with a little olive oil and bake at 400 F until they are golden and crunchy (about 20 minutes). When I manage to rescue a few before they disappear into the Gaping Maw, I like them with really old cheddar and a dollop of curried raisin jelly.